Due to the leadership of Senator Johnny Isakson and his staff, the highly successful Federal Historic Preservation Tax Credit, which was threatened with being eliminated during the recent tax reform, was ultimately saved. 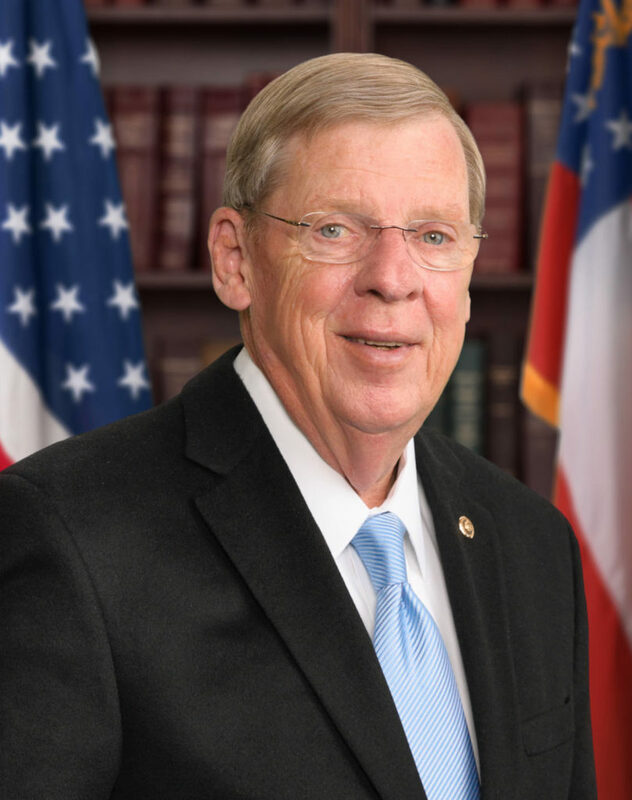 Senator Isakson’s career in the real estate industry gave him the necessary insight to appreciate this powerful economic development tool, and his position on the Senate Committee in Finance allowed him to play a key role in ensuring provisions for its retention. By helping to save the Historic Tax Credit, Senator Isakson and his staff have shown their steadfast commitment to historic preservation, community development, economic growth and job creation. The Senator George Hooks Award recognizes excellence in public leadership in Georgia. This award is given at the discretion of the Board of Trustees and is named in honor of Senator George Hooks, a strong supporter of the preservation of Georgia’s history and culture, who served in the Georgia General Assembly for 32 years.